On 6 October 2014, the Spanish National Reference Laboratory confirmed the first human-to-human transmission of Ebola virus disease outside Africa in a healthcare worker. The healthcare worker had been part of a team at La Paz-Carlos III Hospital providing medical care for a person with Ebola virus disease repatriated from Sierra Leone on 22 September. On 21 October the healthcare worker tested negative for the second time and was consequently considered free of Ebola infection. Today, 2 December 2014, marks 42 days since the healthcare worker tested negative. 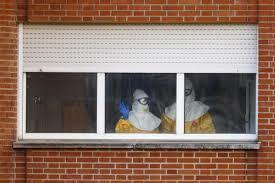 There have been no further cases since the healthcare worker was confirmed to be negative for Ebola virus, so today the outbreak is over in Spain. Spanish authorities identified and monitored 87 people who had been in contact with the healthcare worker. All were actively monitored and 15 high-risk contacts were put under quarantine at La Paz-Carlos III Hospital. All finished the 21-day follow-up period by 31 October 2014.